Kansas City has been home to many extraordinary women. Pioneers. Activists. Entrepreneurs. Artists. Some were born here, others came and never left, but all helped shape our city into what it is today. 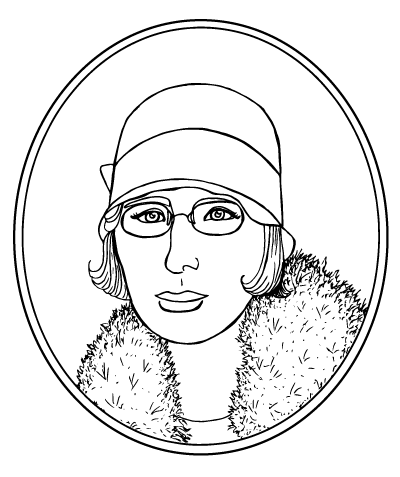 Their legacies are celebrated in these coloring page profiles produced by the Kansas City Public Library’s Missouri Valley Special Collections. We hope it helps preserve their stories. These are just a few of the many remarkable women who left their mark on our community. Explore further in our digital collections or by visiting us in the Missouri Valley Room. Projects such as this are made possible through the generosity of supporters of the Library and members of the Missouri Valley Room Club. Katharine Berry Richardson (ca. 1858-1933) and Alice Berry Graham (1850-1913) were the founders of Children’s Mercy Hospital. The two sisters became doctors at a time when it was rare for women to do so. With encouragement from their father and support from each other, Alice became a dentist while Katharine pursued a doctor of medicine degree. In the mid-1890s, the sisters moved to Kansas City to set up a practice. Their passion for helping the ill and unfortunate inspired them to establish a free children’s hospital in 1897, a time when poor children had very few options for medical treatment. As their reputation for helping people grew, so did their practice. In 1904, they secured funding to build a new hospital named Children’s Mercy. Today, the institution is recognized as one of the best children’s hospitals in the country. 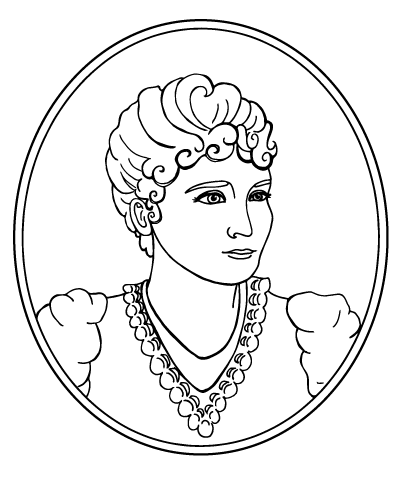 Annie Ridenbaugh Bird (1856-1937) served as president of Emery, Bird, Thayer & Co. from 1920 to 1937. After their marriage in 1880, Annie’s husband, Joseph T. Bird, became an original partner of the downtown Kansas City retailer. Annie was always knowledgeable about her husband’s work and was named president of the company after his death. She was the first woman in Kansas City to assume such a prominent role in a large commercial enterprise, and she successfully navigated this responsibility until her death in 1937. Annie’s contributions to Kansas City extended to philanthropic pursuits, including donating land to what would become Children's Mercy Hospital. Lucile Harris Bluford (1911-2003) was a journalist, civil rights crusader, and woman of many achievements, best known for her 70-year career at The Kansas City Call newspaper. 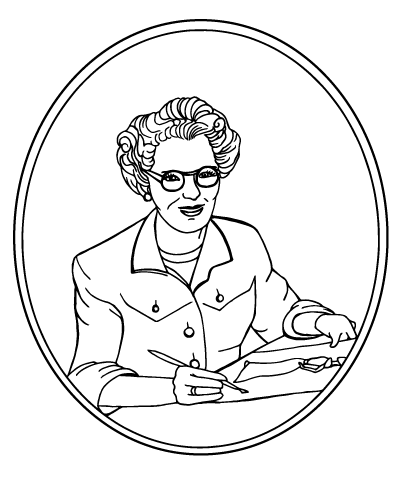 Lucile discovered her talent for journalism while writing for the Lincoln High School yearbook and newspaper. During her time at The Call, she worked her way up from reporter to editor, owner, and publisher. She also served on the national board of the NAACP, was named Kansas Citian of the Year in 2002 by the Kansas City Chamber of Commerce, and is the namesake of the Bluford Branch of the Kansas City Public Library. Esther Swirk Brown (1917-1970) was a civil rights activist best known for leading efforts in the landmark desegregation cases Webb v. Kansas and Brown v. Board of Education of Topeka. A native of Kansas City, Esther attended Paseo High School and later moved to Merriam, Kansas, where she discovered the appalling conditions of the local black school. Despite receiving numerous threats, she launched a crusade to fight injustice and racial inequality culminating in the Brown v. Board decision to mandate the desegregation of schools. Esther continued to speak out against discrimination, was involved with local Jewish organizations, and instituted the Panel of American Women. 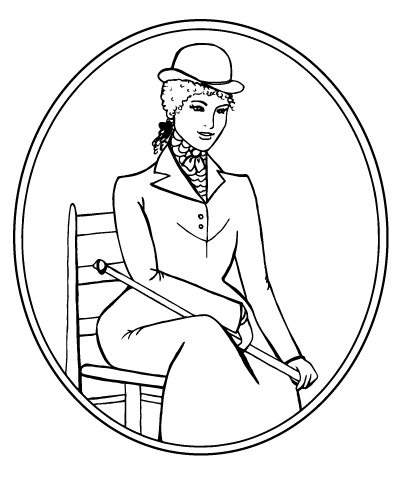 Sarah Chandler Coates (1829-1897) was a suffragette, abolitionist, and progressive social leader known as the “Queen of Quality Hill.” She moved from Pennsylvania to Kansas City in 1856, where she settled with her husband, Kersey Coates. Together, they worked to develop and enrich the city. Sarah ran charities out of their home, promoted the arts and sciences, and supported anti-slavery organizations amid border warfare. 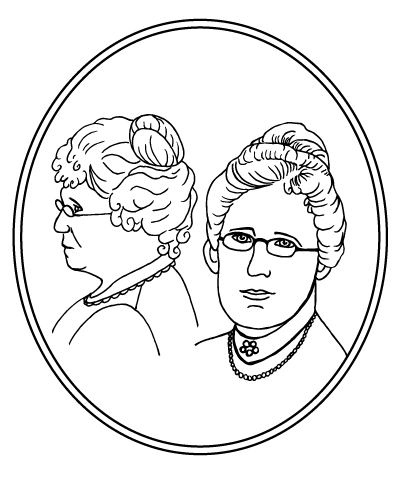 A friend of Susan B. Anthony, Sarah also led the local Women’s Suffrage Club and founded the ’81 Club, a women’s group still in existence today. Loula Long Combs (1881-1971) was a renowned equestrian and horse trainer celebrated for her yearly appearances at the American Royal Livestock and Horse Show. According to her father, R.A. Long, Loula’s first sentence was, “Please buy me a pony.” She began breeding and training horses, which soon outgrew the stables at the Long mansion, and moved to Longview Farm. After her first horse show in 1896 at Fairmount Park, Loula went on to show horses for nearly 65 years, winning many awards at the American Royal and elsewhere in the U.S., Canada, and England. 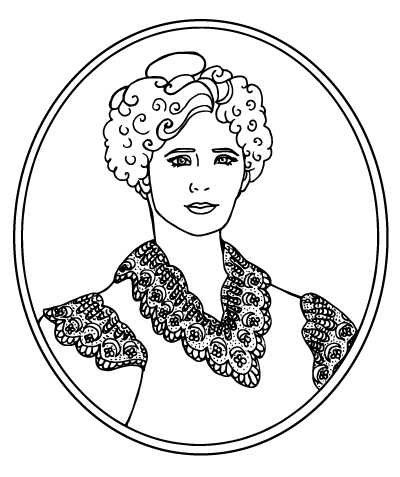 Eliza “Lyda” Burton Conley (ca. 1869-1946) was a member of the Wyandot Nation and is thought to be the first female lawyer of Indian descent in the United States. She pursued a law degree after her ancestors’ burial grounds were threatened despite their protected status from an 1855 treaty. Lyda graduated from the Kansas City School of Law in 1902 and was admitted to the Missouri and Kansas bar associations. In 1910, after several years of fighting efforts to sell the cemetery land, Lyda became the first Native woman to argue a case before the U.S. Supreme Court. Though she lost that battle, more followed, and today the Huron Indian Cemetery is on the National Register of Historic Places. Tatiana Dokoudovska (1921-2005) was a professional dancer, teacher, and founder of what would become the Kansas City Ballet. Born and raised in France by Russian parents, Tatiana trained in Paris and danced for the Ballet Russe de Monte Carlo. In 1939, she moved to the United States to join the American Ballet Theatre. After leaving New York for a role at Starlight Theatre, Tatiana was invited to create a dance program at the University of Kansas City’s Conservatory of Music. Her work at the Conservatory and with the Kansas City Ballet, which she founded in 1957, attracted a variety of dancers and cultivated an audience for ballet in Kansas City. 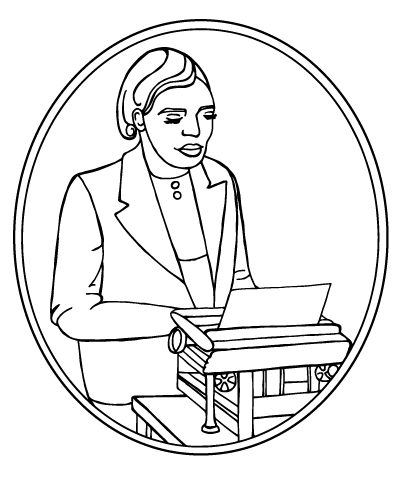 Edna Marie Dunn (1893-1983) was a fashion designer, illustrator and educator who helped shape the garment industry in Kansas City. Perhaps best known for her work as fashion illustrator for The Kansas City Star, Edna also founded her own fashion school in 1937, where she taught everything from sketching to garment construction. Her unique illustrations for The Star attracted fashion fans for decades until her retirement in 1965. Harzfeld’s, Rothschild’s, and Emery, Bird, Thayer & Co. were a few of the popular retailers that used her artwork in their advertisements. 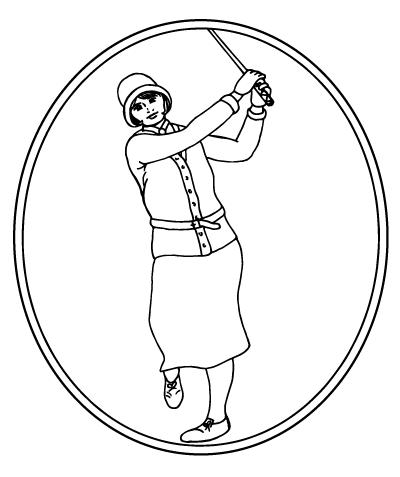 Opal Trout Hill (1892-1981) was one of the most popular professional golfers of her day. A practicing nurse, Opal took up golf during her early 30s when her doctor prescribed fresh air and exercise to alleviate a kidney infection. Soon, she was practicing up to 10 hours a day and winning amateur tournaments. Opal became the third American woman to turn professional and won medals in the U.S. Open and Curtis Cup Match in England. After retiring, she returned to nursing and gave golf lessons at local clubs until she reached her 80s. Nelle Nichols Peters (1884–1974) was an architect who designed nearly 1,000 buildings in Kansas City, including apartments, hotels, houses, churches, and factories. When she started her own practice in 1909, she was one of the few female architects in the United States. During the 1920s, Nelle helped to shape the style of Kansas City buildings, prioritizing comfort and function and popularizing the concept of apartment units arranged around a central courtyard. Many of the structures she designed during her 60-year career were nominated for historic designation, including the Ambassador Hotel, the Country Club Plaza Poets District apartments, and the McConahay Building where Walt Disney’s Laugh-O-Gram Films was once located. 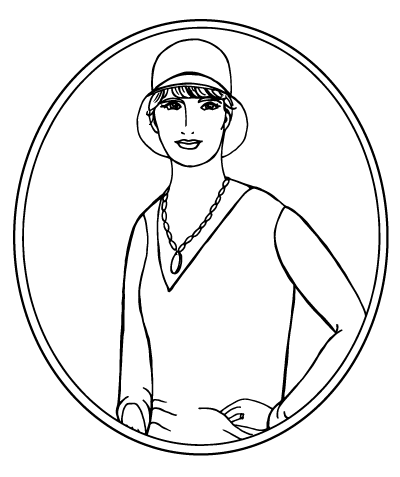 Nell Donnelly Reed (1889-1991) was a women’s clothing designer and entrepreneur who founded the multimillion-dollar Donnelly Garment Company. After moving to Kansas City in 1906, she noticed a lack of stylish and affordable dresses and began sewing her own. Her first stock of retail dresses sold out at a downtown shop within a few hours. By 1931, her business had grown to 1,000 employees and was worth $3.5 million. 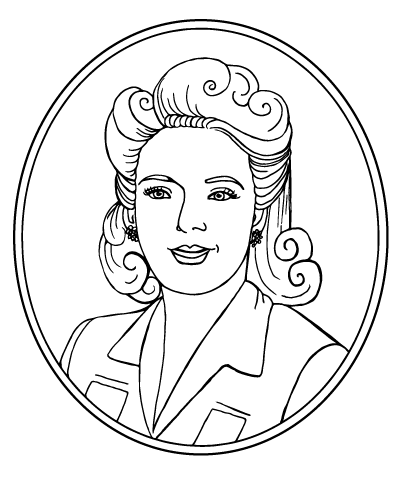 The Donnelly Garment Company survived the Great Depression and continued to thrive until Nell’s retirement in 1956. It was said that one in seven American women wore a Nelly Don dress. 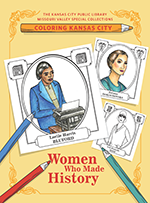 Carrie Westlake Whitney (d. 1934) was the founding librarian of the Kansas City Public Library. Appointed head librarian in 1881, she advocated for children’s literacy, abolished user fees, and oversaw the expansion of the Library’s collection from roughly 1,000 to 100,000 volumes. 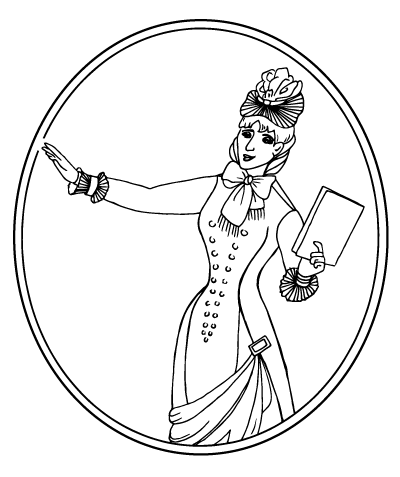 In 1901, she was elected president of the Missouri Library Association. 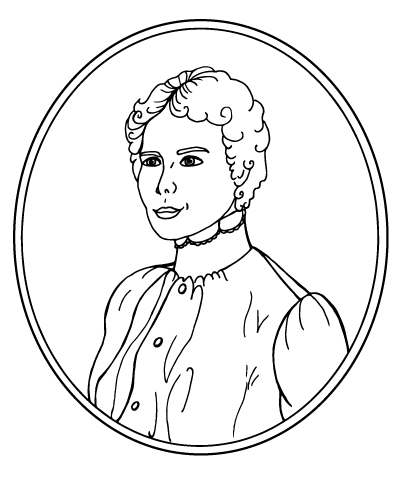 Carrie remained head librarian until 1910. She also penned the three-volume work Kansas City, Missouri: The History and Its People 1808-1908, the most comprehensive history of Kansas City up to that time. 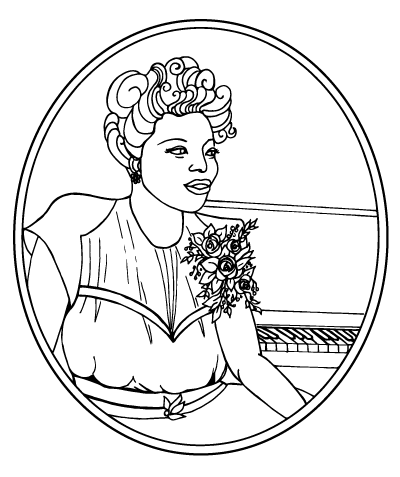 Mary Lou Williams (1910-1981) was a pioneer jazz pianist and composer. Born in Atlanta, she taught herself to play piano by ear and moved to Kansas City in 1929, working during the peak of the city’s jazz era. Mary Lou was hailed for her prowess as a soloist and composer for Andy Kirk’s Twelve Clouds of Joy band. She also arranged hit songs for other popular band leaders and went on to perform with Duke Ellington. Mary Lou Williams Lane, near 10th and Paseo, is named after her. Josephine Silone Yates (ca. 1859-1912) was a renowned teacher, writer, and outspoken advocate for racial equality. A native of New York, she moved to Jefferson City, Missouri, to teach at the Lincoln Institute. Josephine later married and moved to Kansas City, where she became active in the women’s club movement and taught at Lincoln High School. 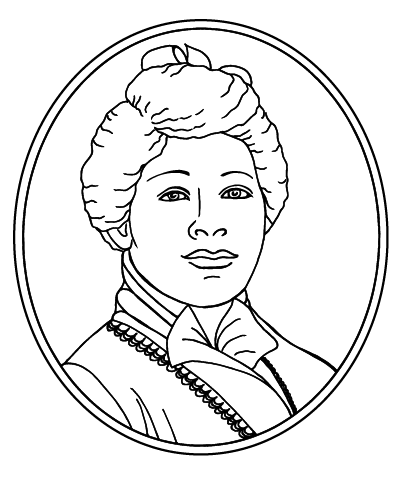 In 1893, she co-founded the Kansas City Women’s League, which eventually merged with the National Association of Colored Women. 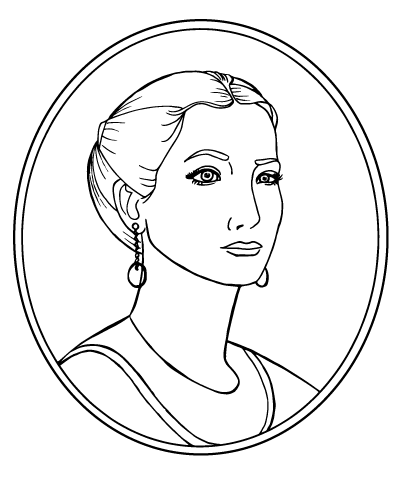 Josephine used her platform as the NACW’s president to uplift her fellow women, and she published articles on a variety of topics ranging from economics to Russian literature.